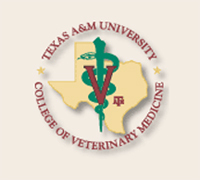 On March 27, the Veterinary Medical Teaching Hospital at Texas A&M University College of Veterinary Medicine & Biomedical Sciences announced that it had received a significant boost in its ability to bring the latest in cancer treatment to veterinary medicine when the Board of Regents voted to approve the construction of a veterinary imaging and cancer treatment center. The cancer center will house a linear accelerator which utilizes high energy x-ray and electron beams to treat cancerous tumors in both large and small animals. The new technology is expected to greatly enhance the educational experience for veterinary medical students and increase the quality of medical care available for patients at the veterinary medical teaching hospital. The addition of MRI capabilities to the building improves the ability of veterinarians to image and diagnose many conditions and disease, especially those of the brain and spinal cord. At a projected cost of $4.5 million, the imaging and cancer building will have approximately 8,000 square feet including space for support personnel, and is designed for both small animals and horses. It will be located adjacent to the Large Animal Hospital and within 100 yards of the Small Animal Hospital.